SEO for real estate has not become more complicated, but rather it has become easier. In other words, it has become more simplified. I don't know who is doing your listings' SEO, but if it's you the Realtor, start from forgetting everything you knew about SEO until now. The industry has changed and evolved because of people's behavior. Here is what SEO experts say in general and in agreement with one another. Each Realtor or a mortgage blogger should make his or her own conclusions depending on local business settings. 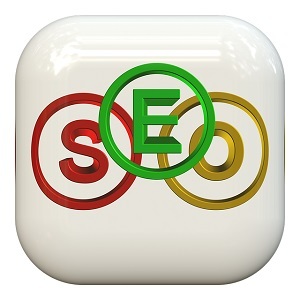 There was a time when getting backlinks to your website was the hottest commodity in search engine optimization. They were valuable because they were natural. If website publishers thought giving a link reference to a related website would help their visitors, they would link them. And Google would take this into consideration. But then, people, seeing the value in this, started paying for these links. Those who had more money would pay more and promote their rankings in search engine results. Search engines like Google, Bing and Yahoo quickly took notice of this and lowered their value. You can still get backlinks and they have certainly value, but don't focus on them too much. Just focus on creating an interesting, good and compelling content that your readers want to read. You can get some backlinks by publishing great content and creating very interesting pages to which other fellow Realtors or Mortgage brokers would like to link from their own websites because they will consider it useful to their visitors. Years ago search engines were trying to understand your story or page by studying the keywords and their density on the page. If the word mortgage appeared 5 times in a 500 word story, then, all things equal, they would think that the story is about mortgages. But people's searching behavior changed. Today's online searchers are not like those inexperienced online users who would click on every link that they saw in blue color. Today we search differently. Instead of single and awkward keywords, they search entire sentences. Why? Yes, today more and more people use the benefit of voice search not only on their mobile phones, but also on their computers and tablets. Not only they are typing and entire sentence to find a more precise and targeted result, but also they speak an entire sentence when searching for something. For example, today's searches in real estate or mortgage industries may looks like this, which a searcher is likely to speak on his or her smartphone. Until recently if you searched for mortgage rates in NYC, Google and the other search engines would bring you a list of websites which would have that information in there. But today's search results have changed. Google know that you just want to see the rates in your area and it will now provide the rates in your area when you search for them. This is good for the searcher, but not good for the website owner, who hopes the searcher will click on his/her website and he/she will get a lead. Since we can't change this, it's better to benefit from this. Google, when showing a result from your website, will also list your website as a reference. Therefore, you need to do the best you can to stand our in the crowd. Make your page's title and description really interesting and compelling so that when someone sees the results he or she still wants to click on it and come to your website. Google recently said that more people search on mobile phones than on desktops. The look, speed and the reading behavior on smartphone is different than on desktops. Write shorter sentences. Provide direct answers. Make your pictures little smaller so they can look better through responsiveness on mobile phones and make your paragraphs shorter so you don't overwhelm the reader who is reading your website on a smartphone. These are few things that are happening now and will be the mainstream when it comes to SEO. Realtors, mortgage brokers and people in housing industry should take these things into consideration and make appropriate changes in their blogging and website publishing habits if they want to benefit from these changes and their potential customers' changing behavior. If you liked this story, please subscribe to our daily newsletter for daily tips like this to help real estate agents and professionals in the housing industry. Thank you Teresa. Hope real estate agents can use this SEO info and further improve their performance online. I am in need of a basic re-direct for blogging. I have over 100 articles posted and no real results. Who should I be connecting with in terms of blog sites. You say to not direct to Active Rain. So, what blog sites should I share with? Hi Susan, are they original articles? Is the same article shared in number of blogs without the right canonical tags? If yes, this will create a duplicate content and you will lose rankings. do you have a webmaster to manages your real estate blog?